Have you decided to make Airlie Beach your next campervan rental destination? You couldn’t have picked a better spot. While you can enjoy the beach, there will be a close second – the great campsites on this list. Now, before you dismiss this, please have a look at the three we have covered below. Got some pets you want to take along with you on your next camping trip to Airlie Beach? Looking for some options? If you are then you would be hard pressed to find a camping and caravan area that has as much to offer as Seabreeze Tourist Park does, in addition to accommodating pets. You will have your choice of powered campervan and caravan spots either on the grass or on concrete, the choice is up to you. There is also an unpowered area if you don’t require power to your motorhome. The friendly staff there will even assist you upon your arrival. If you plan on coming through with a big rig, then no worries as they have accommodations for large rigs. You can’t get any closer to Airlie Beach than Island Gateway Holiday Park. 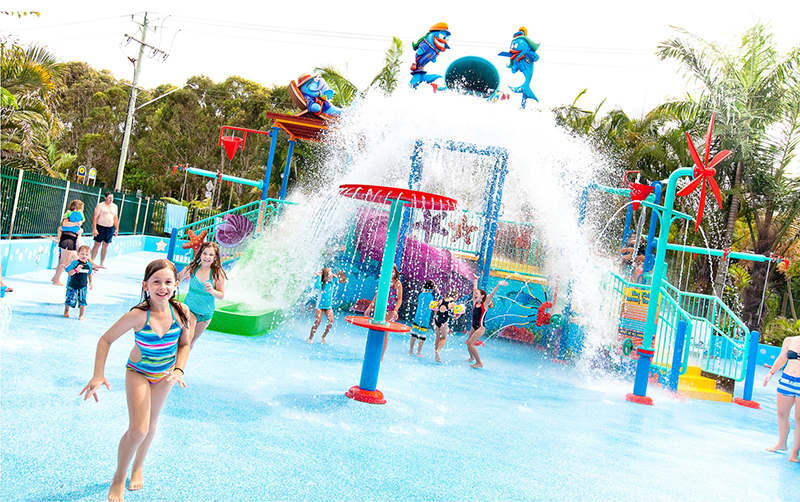 The park is convenient as it is the closest one to Airlie Beach. There are tons of options when it comes to your camping wants and needs. You can stay in the cabins, villas, ensuite powered sites, or even pitch your own tent. There are also unpowered camp sites available, so it truly is a camper’s buffet when you land there. Now, we know that you are heading to Airlie Beach, but you may not even get a chance to leave the park with activities like a playground, tennis courts and bike & pedal carts. If you are looking for the ultimate adventure getaway in Airlie Beach, then you may want to highly consider Island Gateway Holiday Park for your next campervan or caravan road trip. This isn’t just a caravan park. It’s so much more than that. Sure you can pull your caravan or campervan up for a few days, but be sure to check out all of the other attractions that BIG4 has to offer. You can hang out at the resort style pool, get a game of tennis in or even feed some of the birds. You won’t run out of activities for adults and for the kids in your group, if you have any. Camping can be an adventure. Why not make it an even more enjoyable adventure by heading on over to one of the camp sites on this list? Not only can you get your camping in, but as you can see, there are tons of other activities you can participate in. And oh yeah, there’s still Airlie Beach to check out! If you have any further questions please contact us today.